VENTURES AFRICA – The Sheraton Hotel is doing another good day of business on a Monday morning. The hotel, run by Sheik Mohammed Ali Al-Amoud, is Ethiopia’s most recognized hotel. It fills with business travelers from London and diplomats from all over Africa. It also offers similar services and accommodations expected from any major hotel in America or Europe. And for those who find the prices of the bigger international brands too expensive, Jupiter International Hotels, run by a young Ethiopian expat Benyam Bisrat, offers a quality local alternative. 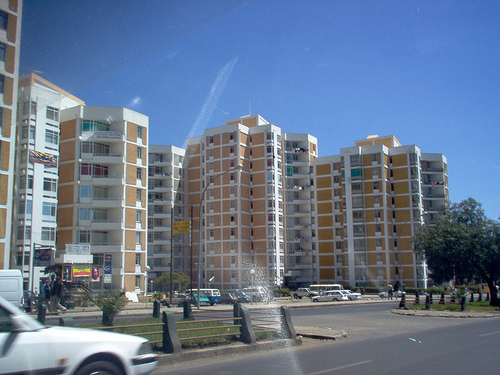 The central parts—Kazanchis and Bole—of Addis Ababa resemble a construction site. New malls and hotels are being erected throughout these areas. These new constructions are mostly locally funded. Jupiter Hotels, as one of those locally funded constructions, has only been running for 5 years. In that time, the company has boosted occupancy rates above 80 percent to match international brands in the market. Until recently, schmoozing with businessmen of all stripes and African diplomats involved sitting by the bar in the Hilton or lingering around the Sheraton lounge area. During the last African Union meeting, the lobby of the Jupiter Hotel in Kazanchis jammed softly with local Ethiopian jazz crowded out by Africa’s numerous local languages and the usual assortment of romance languages spoken on the continent. This type of growth is usually the result of growing demand and stalled supply. But the supply of hotel beds in Addis has tripled in the last three years to around 6,000 hotel beds. Competition in this market could potentially push the number over 10,000 hotel beds in the next few years. Jupiter International Hotels will actively expand during this time to more than 1,000 hotel beds to capture approximately ten percent of the market, says Mr. Bisrat, who is also vice president of the Hotel Association of Ethiopia. International brands, including the Marriot, will also help the local hotel industry to reach that number. Hotel groups are expanding in this capital because the amount of diplomats and corporate clients are growing. Yearly tourism, at approximately 500,000 tourists in Ethiopia, still has a ways to go before it matches other emerging African economies. The Ministry of Culture and Tourism has stated its aspirations to make Ethiopia a top five tourist destination in Africa by 2020. During this rapid growth phase, quality service-oriented business will win out at the end of the day, say Mr. Bisrat, or customers will walk out. He believes Jupiter International Hotels is positioned as top competitor in this space, especially as it plans to develop a value hotel chain. A hot shower, good mattress, and strong internet goes a long way to make a quality value hotel. But Jupiter International Hotels plans to also add a yoga studio, art gallery, and technological add-ons, including iPod docking stations and quality data and voice streaming capabilities in the rooms. So many foreigners are coming now and more and more are not Ethiopian Diaspora, says Dawit, a local Ethiopian tourist operator. A sense of change has descended upon the country. Gone are filmmakers for aid videos on famine. Rather conference facilities and lobbies bustle with the growing presence of investors and government officials. Hotel groups, says Mr. Bisrat, still have a long way to go to meet the needs of a growing business and diplomatic hub. As Ethiopian Airlines expands its routes to meet the geographically diversifying clientele of the Ethiopia, expect the hotel industry to do the same. International arrivals to the UAE increased healthily in 2012, reaching an estimated 11 million tourists delegates heard today at the latest WTM Vision Conference – Dubai held at Reed Travel Exhibition’s event Arabian Travel Market. Overall performance of inbound trips to the Middle East region were down 5% last year mainly due to the decline of arrivals to those countries hit by the Arab Spring, which took place in 2011 effecting countries such as Saudi Arabia, Lebanon and Syria. However, the UAE witnessed a substantial increase with an estimated 11 million tourist arrivals visiting the Emirates; over 8 million visiting Dubai, 2 million to Abu Dhabi and the rest to the other 5 emirates. 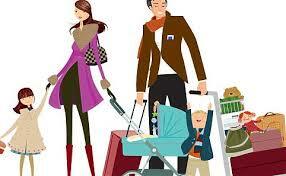 All states continuing to show the best hotel occupancy rates due their strong leisure appeal and strong MICE sector. Of the 11 million arrivals to the UAE, neighboring country Saudi Arabia made up the top source market for inbound tourism, with 1,500,000 tourists coming from Saudi Arabia alone. Visitor numbers from the largest Arab state to the UAE are predicated to double over the next 5 years to more than 3,000,000 arrivals. Speaking at the WTM Vision Conference – Dubai, Euromonitor International’s Senior Research Analyst Sana Toukan explained that the UAE offers a culturally similar but more relaxed tourist destination for Saudis and is particularly popular among the growing young population. Another Middle Eastern country to prosper since the 2011 Arab Spring was Egypt, recording a strong 18% growth in 2012, although arrival numbers are still far from the 14 million recorded in 2010. Also, as highlighted in the World Travel Market 2012 Industry Report, Libya has vast tourism potential with its long Mediterranean coast and Roman antiquities, but it has yet to achieve much progress since the revolution finished in 2011. WTM Vision Conferences were also held in Moscow, Beijing and Sao Paulo earlier this year, with Rimini Italy (October 17) also confirmed. Reed Travel Exhibitions Director World Travel Market Simon Press said: “It is great to hear that recovery has been seen in a number of Middle Eastern and North African countries such as the UAE, Egypt and Tunisia. However the danger still remains with the unrest and on-going violence in Syria which could affect neighboring countries. MUMBAI, India – The recent decision of UAE’s flag carrier, Etihad Airways, to buy 24% stake in Indian carrier Jet Airways Ltd, according to aviation experts, is likely to change the business dynamics of the aviation industry in India. This partnership will result in greater dominance of Middle East-based carriers in Indian skies especially on Westbound routes (see box on number of destinations and flights operated per week in India by leading carriers on pg 10) and could also result in Etihad-Jet combine grabbing the numero uno position in the Indian market, with a significant global impact. The operational synergy between the two airlines will also enhance connectivity. Competition for Westbound traffic from India is also likely to heat up and a resultant fare war may break out with passengers enjoying lower fares, which could lead to increase in the number of passengers and overall may boost travel and tourism to and from India. What has suprised many in the aviation industry is that while the deal was in the air for some time, the official announcement was made the same day when India and UAE signed a new air travel bilateral agreement raising the existing weekly seats of 13,300 each side to 50,000 over the next three years. While the deal with the cash-rich Etihad will see Jet Airways slip out of the debt trap, the Middle East carrier will be eyeing the expansive domestic network of the Indian partner and leverage on it to feed its network of destinations through its hub Abu Dhabi. It is estimated that an additional half million to one million passengers will be flying through the new hub using the Jet and Etihad combined networks. 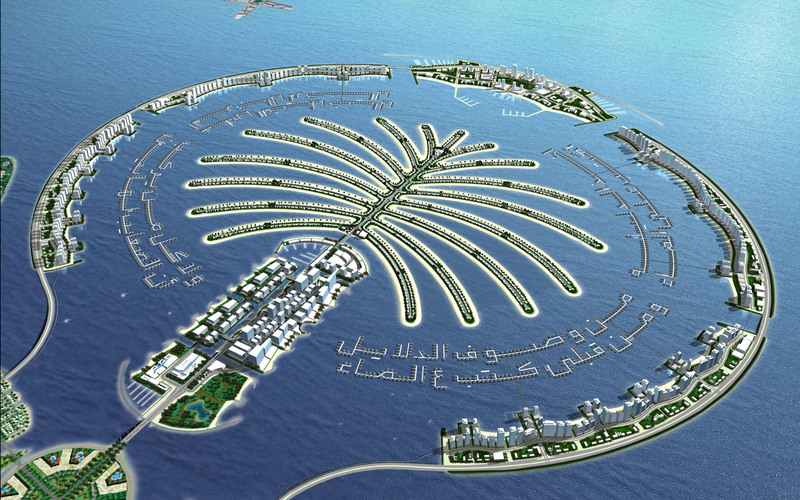 Jet is also looking at setting up a hub in Abu Dhabi. Industry observers feel that the while the benefit out of this partnership for Jet Airways will be short-term, Etihad will be the long-term beneficiary. “The strategic alliance will have a short-term benefit for Jet helping the airline to clear its debts by having secured access to world’s fastest growing markets. 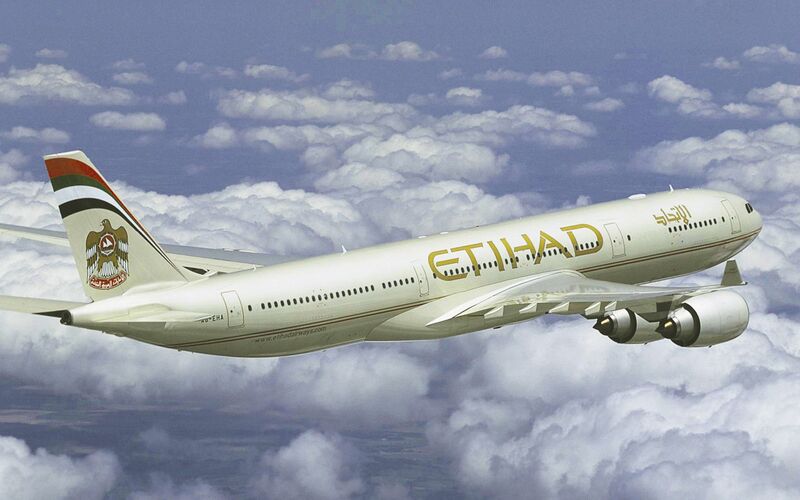 On the other hand, Etihad will use Jet’s domestic network to compete with other Gulf carriers. In the long-run Etihad will be benefited with this partnership and will strengthen its share in the Indian market,” stated a top official of a Middle East carrier. “The merger is expected to help Jet Airways retire its debt and save on interest cost that goes straight to its bottomline. Besides that the deal will help Jet expand its route network in India and abroad through self-operated and code-share flights. Jet and Etihad will gain against their competitors by way of incremental passengers and some cannibalisation from other airlines. The strategic alliance could bring considerable synergy benefits to the partners including joint procurement of aircrafts; fuel; personnel; Maintenance, Repair and Overhaul (MRO) and other goods and services; cross-utilisation of aircraft; joint training of pilots and cabin crew; shared sales forces in common destinations. All this is likely to show its impact on bottomlines of both airlines in the next 12-24 months,” observed Amber Dubey, Partner and Head-Aviation at Global Consultancy, KPMG. However, the increasing competition among carriers will work in favour of passengers, feel industry observers. “The deal will have an extremely positive impact on passengers. They can expect more competition, better regional connectivity, higher efficiency, more choices, better services and lower fares. People in Tier-II and III cities will see enhanced global connect and that may give a fillip to the trade and tourism in those locations,” said Dubey. Etihad Airways has agreed to subscribe for 27,263,372 new shares in Jet Airways Ltd at a price of Rs 754.74 per share. The value of this equity investment is USD 379 million and will result in Etihad Airways holding 24% of the enlarged share capital of Jet Airways Ltd.
SINGAPORE and McLean, VA – Hilton Worldwide celebrated a key milestone today in Asia Pacific with the opening of DoubleTree by Hilton Sukhumvit Bangkok, its 100th property in the region. It also has more than 170 hotels with more than 50,000 rooms in its pipeline and expects to triple its current portfolio in the next five years. In 2012, Hilton Worldwide signed a total of 55 new properties in key Asia Pacific markets including Greater China, Australia, Japan, Korea, India, Vietnam, Thailand and Malaysia. With these new signings, over 14,600 rooms will be included into the company’s portfolio across six brands – Waldorf Astoria, Conrad, Hilton, DoubleTree by Hilton, Hilton Garden Inn and Hampton. In the first quarter of 2013, Hilton Worldwide announced a key signing of the first internationally-branded hotel in Yangon, Myanmar. 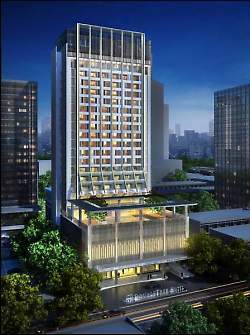 The 300-room Hilton Yangon is scheduled to open in 2014. It also announced the introduction of its luxury brand Conrad Hotels & Resorts in the Philippines with the signing of the 350-room Conrad Manila, scheduled to open in 2015. Hilton Garden Inn Hanoi, the award-winning, mid-market brand’s first property in Southeast Asia also opened its doors on April 2, 2013 in Vietnam. In India, the company opened the unique leisure property Hilton Shillim Estate Retreat & Spa, in the serene and unspoiled landscape of the Sahyadri mountain range in the Western Ghats, and Hilton Garden Inn Gurgaon Baani Square, the second Hilton Garden Inn-branded hotel in the country. With that opening, Hilton Worldwide now manages seven hotels in Delhi National Capital Region (NCR) alone. Come May 1, 2013, Hilton Worldwide will also debut its fastest growing full-service brand, DoubleTree by Hilton in Australia, with the opening of DoubleTree by Hilton Darwin, DoubleTree by Hilton Esplanade Darwin, DoubleTree by Hilton Alice Springs, along with Hilton Darwin in the country’s Northern Territory. Other key milestones for the company in the Asia Pacific region this year include commemorating its 50th anniversary of operations in Japan as well as its 25th anniversary of operations in China. Ethiopian Airlines is set to become the world’s first carrier to resume flying Boeing Co’s 787 Dreamliner passenger jets, with a commercial flight on Saturday to neighbouring Kenya, two airline sources said. Boeing’s Dreamliners have been grounded since regulators ordered all 50 planes out of the skies in mid-January after batteries on two of them overheated. US regulators approved a new battery design on Friday, clearing the way for installation. An Air India source told Reuters in New Delhi that commercial operations should start within a week or so, immediately after approval from the local regulator DGCA. Another source, who also declined to be named, confirmed the plan to resume flights on Saturday by the airline, the first African carrier to purchase Dreamliner planes. It ordered 10, has received four, and started flying them in August. “It should be a matter of days, not weeks. I think one week or so,” the source said, without giving further details. The US Federal Aviation Administration (FAA), which grounded the planes, is expected to issue an Airworthiness Directive on Thursday. This applies to US airlines, but other nations are expected to follow suit immediately. The grounding has cost Boeing an estimated $600m (R5b), halted deliveries and forced some airlines to lease alternative aircraft. Several airlines have said they will seek compensation from Boeing, potentially adding to the plane maker’s losses. 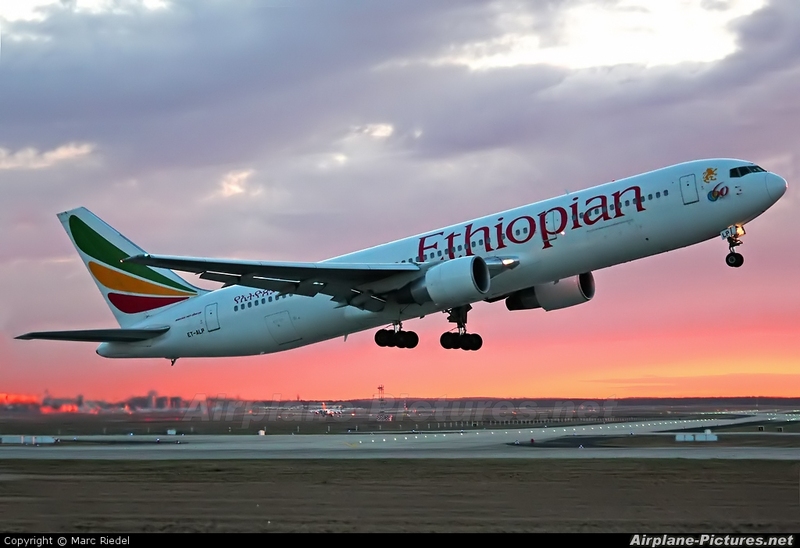 Randy Tinseth, Boeing’s vice president for marketing, said in the Ethiopian capital that the planes for all airlines would be modified and they would then work with their own regulatory authorities to determine when flights would resume. “Each airline will be a little bit different,” he told reporters, adding that Boeing expected to meet its target of delivering more than 60 of its Dreamliner planes in 2013. “The timing will change a little bit but we will be able to meet our commitments to our customers in terms of delivery this year,” Tinseth said. Ethiopian Airlines previously said its fleet did not suffer any of the technical glitches experienced by other Dreamliner jets, though it withdrew the planes from service to undergo special inspection requirements mandated by the FAA. The first B.B. King Blues Club at sea has debuted on a Holland America ship. The Seattle-based line says it has transformed the Queen’s Lounge on the 2,104-passenger Eurodam into a B.B. King Blues Club for live performances five nights a week through June 20. Members of the B.B. King Blues Club Band are playing the venue, which has been redecorated with portraits of King and other music legends. Holland America says a stage similar to ones found at Memphis blues clubs was added to the lounge, and the wait staff has begun serving the specialty cocktails that are offered at B.B. King Blues Clubs on land. In addition, the B.B. King Blues Club Band is playing the Eurodam’s main theater one night a week in a live stage show directed by Marion Caffey, producer of Amateur Night at the Apollo. Dubbed Memphis Sound, the 45-minute performance incorporates video projection to tell the story of the blues. 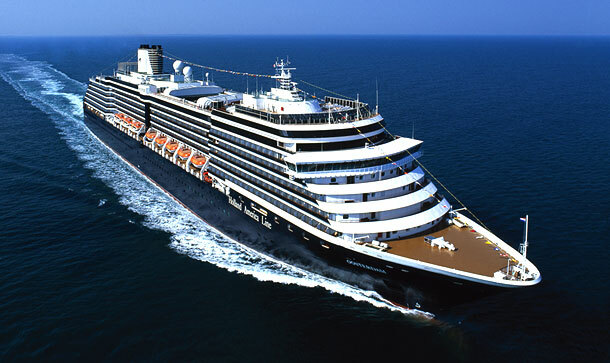 Holland America says the show will debut on other Holland America ships over the coming year. B.B. King Blues Clubs on land are located in Memphis and Nashville, Tenn.; Orlando and West Palm Beach, Fla.; and Las Vegas. You are currently browsing the archives for the Travel & Money category.